JOIN ALAMANA DANCE STUDIOS FOR SIX FUN WEEKS OF DANCE LESSONS AT BIRREGURRA MECHANICS HALL. CLASSES START AT 7PM AND GO TO 9PM. COME IF YOU'RE A BEGINNER OF IF YOU WANT TO BRUSH UP YOUR MOVES. 6 wk term on Wednesdays from 7th November. $50 registration per person for all 6 classes. 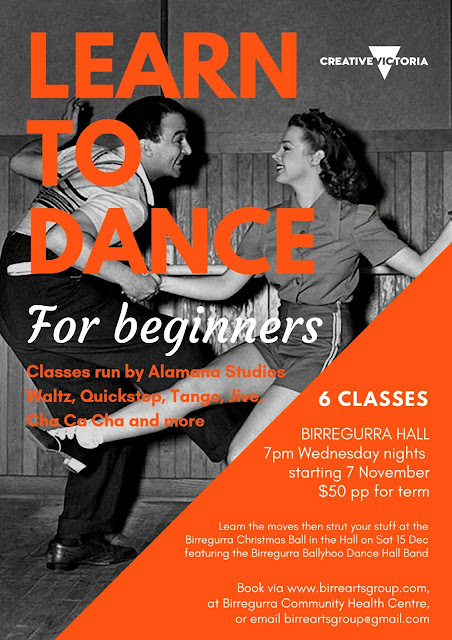 Alamana will teach six of the most popular dances you're ever likely to have the opportunity to dance socially including Jive, Rumba, Cha Cha, Modern Waltz, Slow Fox Trot and Tango. Learn about all the different tempos and timing so you know what dance to dance with what music - from 1940s right through to current tunes. 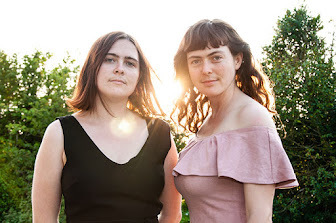 Jive for example can be danced to music right through from the 1940’s the good o’l swing era through the rock’n’roll era to the 70’s 80’s and now. Come as a couple, come as friends, or come on your own and grab a partner. All ages 12yrs+ welcome. Learn the moves then strut your stuff at aBirregurra 1940s era Christmas Ball in Birregurra Hall on Saturday 15 December featuring the fabulous Birregurra Ballyhoo dance hall band (tickets for the ball on sale soon). 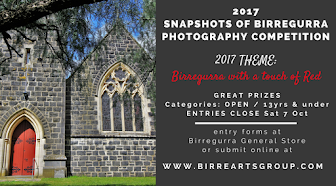 These dance classes are supported Birregurra Community Arts Group and Creative Victoria as part of the Small Regional Presenters program.